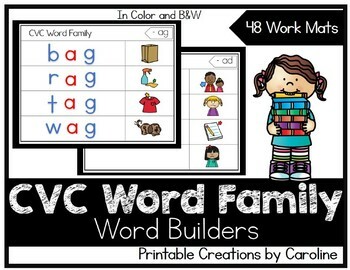 CVC Word Family. Short Vowel. Center Activities. Intervention. Magnet. Laminate and reuse these fun sheets year after year. 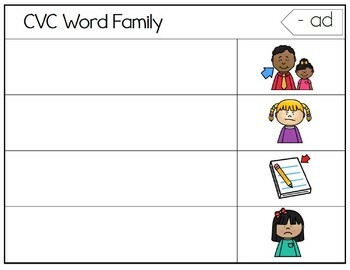 Students can use magnetic letters of expo markers to write in the blanks. 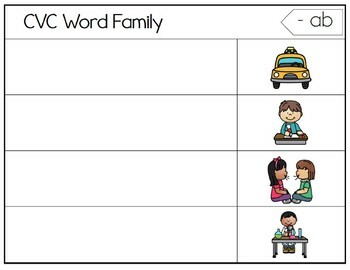 Excellent for early finishers or center work or intervention. Each page has 4 pictures on it with plenty of writing or magnet space for words.